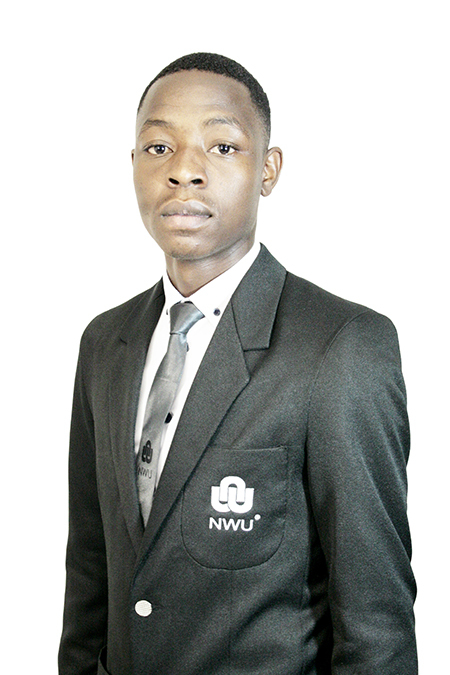 Leo Maphosa, a member of the Student Campus Council (SCC) and third-year law student at the North-West University’s (NWU’s) campus in Mahikeng, scored big at the Faculty of Law Prestige awards. This event took place on 16 March 2018 at the Sanlam Auditorium on the campus in Potchefstroom. Leo, who is the academic affairs officer of the SCC, received three awards. Not only did he take first place in the NWU Juta Mock Trial competition, but he was also awarded the prize for best performance in Law of Delict across all three campuses. He was also recognised for the role he played as deputy chairperson of the 2016/17 Law Student Council. The annual Faculty of Law Prestige Awards recognises Mock Trial finalists, best performers in Law subjects as well as those with averages above 75%. It further recognises the contributions of the Law Student Council of the previous academic year. Leo Maphosa scored big at the NWU’s Faculty of Law Prestige awards.